Calling all vocalists and aspiring stars in the Chicagoland area: legendary entertainment troupe Cirque du Soleil has reached out to GigMasters looking for "professional singers with strong technique, stage experience and versatility for live performance." 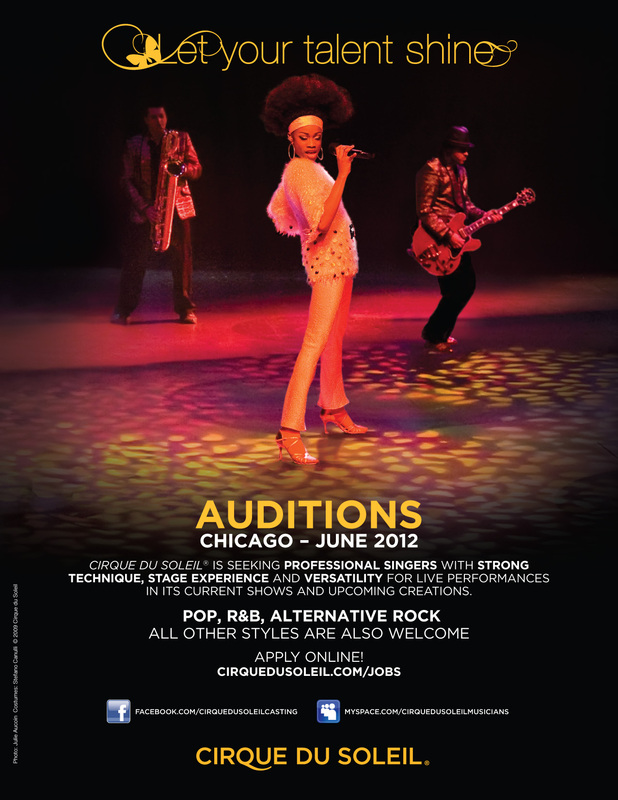 The auditions will be taking place in Chicago this June and all vocal styles are welcome. You can find all the application details on Cirque du Soleil's Casting Page. Good luck and don't forget about us when you are a big star!